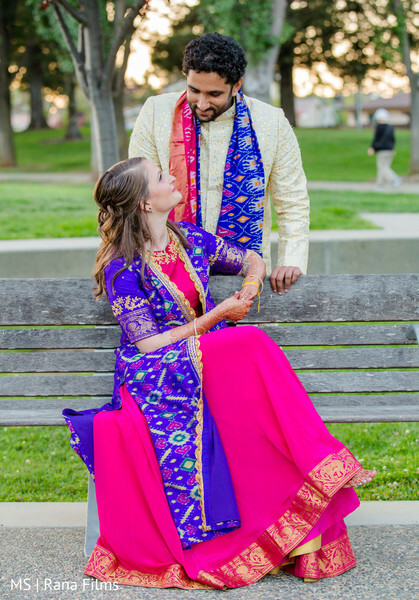 Today's story beautifully shot by Rana Films unveils the fantastic fusion wedding of Sara and Pranav! 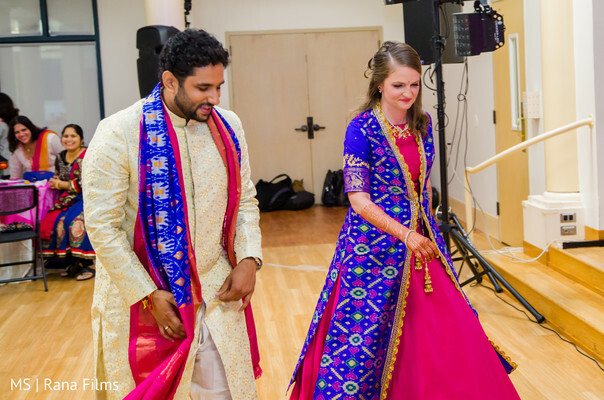 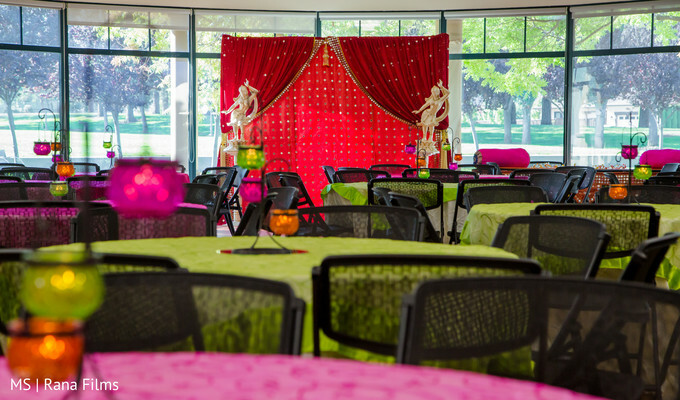 This charming Californian couple decided to take the journey of a lifetime joined by their nearest and dearest and started the blissful voyage with a fabulous Sangeet celebration at the Quinlan Community Center. 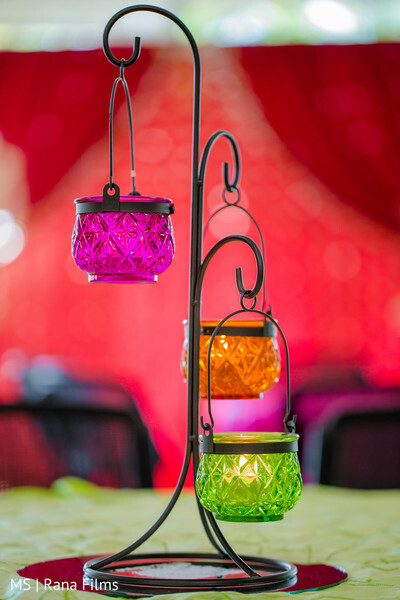 The joyful event offered beautiful favors such as colorful bangles for the ladies and displayed neon color linens to uplift the tables, while a small yet charming red backdrop served as the main visual spot! 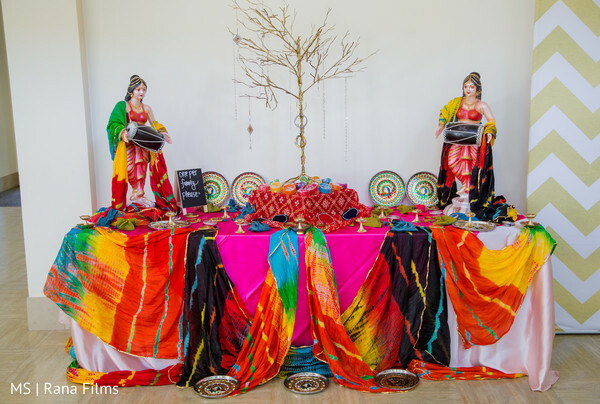 All these colorful creations were brought to life thanks to the amazing BYG Events by Asha who also helped our lovebirds in the assembly of their fabulous nuptials! 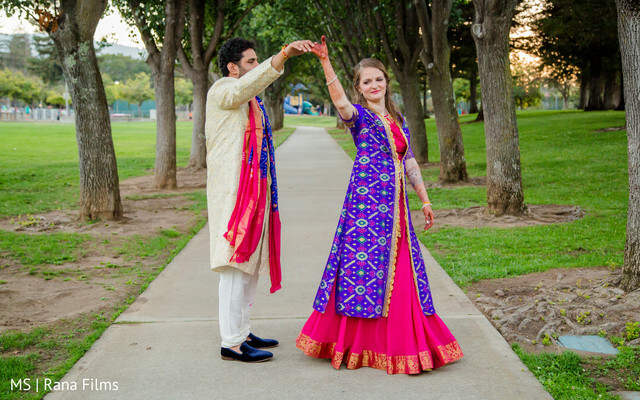 TM's Makeup Artistry gave our Maharani Sara a beautiful makeup she finished off with a striking pink lip color while a half updo added a contemporary and elegant flair to her vibrant Sangeet Anarkali! 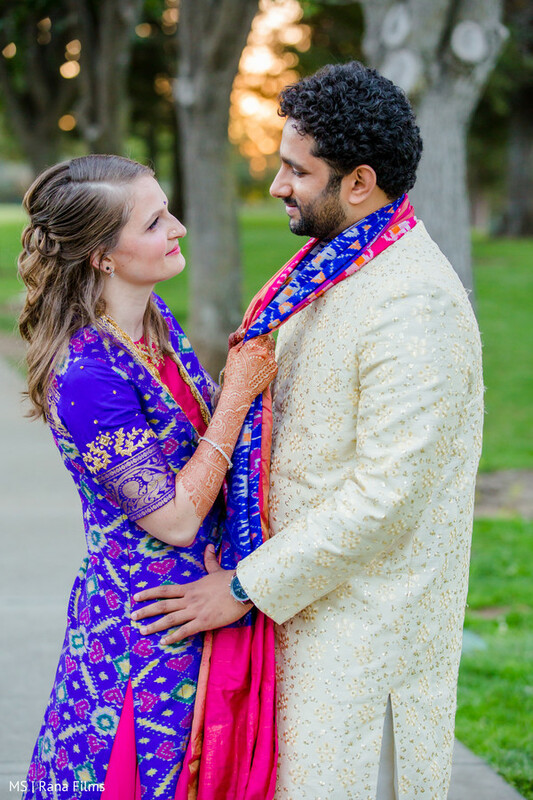 I can't wait to show you the second part of this unique fusion matrimony up next! 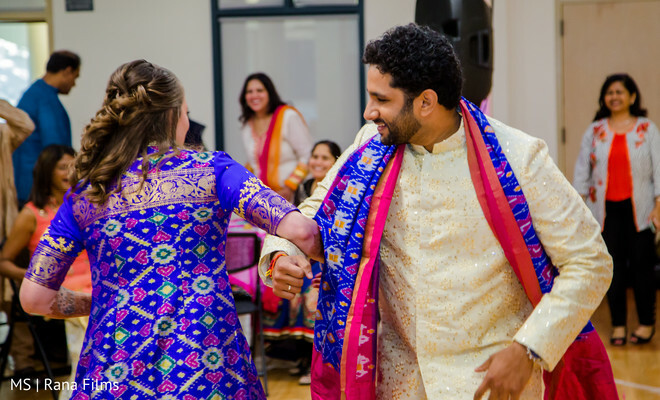 Meanwhile, head to the gallery for a closer look at the pre-wedding celebrations! 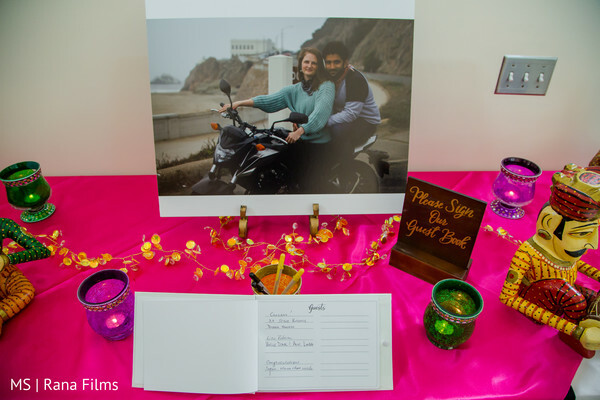 We still have lots of more details of this lovely fusion wedding in our following feature!